The recently announced Kingdom Hearts 3 release date is still fairly far away. What should you do to catch up on the series until then? The Kingdom Hearts 3 release date is January 25, 2019, which is still over six months away. Whether you want to watch videos or play games, you can experience the series in many new ways to help pass the time quicker until the Kingdom Hearts 3 release date. 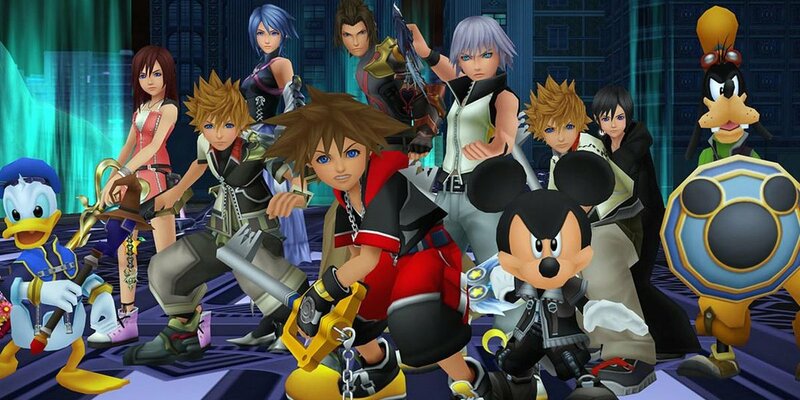 Some fans may not have played a Kingdom Hearts game since the PS2’s Kingdom Hearts 2. There are many important story developments and characters introduced since the 2005 numbered title’s release, most of which can all be caught up with on the PS4’s mega collection, Kingdom Hearts HD 1.5 + 2.5 ReMIX. While the HD remakes of Chain of Memories and Dream Drop Distance in this collection are great, the HD ReMIX titles, originally for the PS3, gifted players outside of Japan the first opportunity to play the awesome Final Mix versions of Kingdom Hearts 1, 2, and Birth by Sleep. 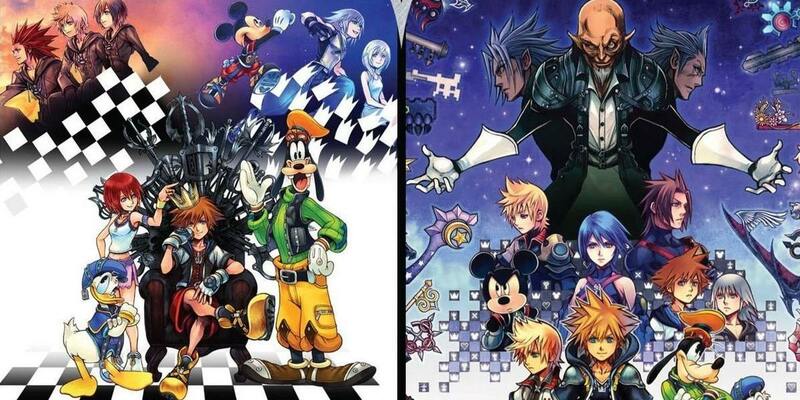 Being the mash-up titles that they are, there are many games and movies that players can delve into to get the full picture of the Kingdom Hearts series. With our guide on how to get the most out of the excruciating wait for the Kingdom Hearts 3 release date, the end of January may feel like it has arrived a bit sooner. This is the first suggestion in our guide because of all of the new Kingdom Hearts content to be dug up here. While Japanese players have had the additional cutscenes, boss battles, and maps of 1, 2, and Birth by Sleep, the rest of the world may not have even known that these versions of the games were a thing. Kingdom Hearts 2 arguably has the most improvements in its Final Mix version. Not only can you fight every Organization XIII member (minus Xion) in a difficult post-game boss rush, you also get to dodge roll again. I know, revolutionary stuff, right? Also, floating crown collectibles are scattered throughout the game, bringing back the challenging platforming elements from 1. Kingdom Hearts 1 Final Mix brought in some great new battle abilities and a hooded Xemnas fight, along with some new Riku cutscenes to show how he ended up under Maleficent’s influence. Birth By Sleep saw fewer changes than the other two, but all three titles have an added critical/proud mode of difficulty, which is bound to give even the most seasoned Kingdom Hearts veterans a run for their money. To get the greatest feeling of how Kingdom Hearts 3 will feel using the Unreal Engine, consider playing through Aqua’s short solo story in Kingdom Hearts 0.2: Birth by Sleep — A Fragmentary Passage (yes, that is an insane title). The action feels tight, and while the textures will look a bit smoothed over in Kingdom Hearts 3, the action looks fluid and truly must be experienced in person. To be honest, you can likely play the lackluster Kingdom Hearts χ Back Cover movie in the background, as it both doesn’t make much sense and doesn’t feel like it has much to do with how Sora, Riku, and Kairi will deal with the upcoming Keyblade War. However, we never got into the mobile game for Kingdom Hearts χ, so it could be that we’re missing the boat a little bit here. But once again, this movie uses the Unreal Engine for its animation, so if anything, it makes for a pretty demo of the dev team’s use of physics. The Dream Drop Distance remake is worth a play through, especially for those that may have missed the only Kingdom Hearts 3DS title. The touch controls are optionally mapped to the PS4’s Dualshock touchpad, so rest assured that you are still getting the full experience of the original game in this HD remake. While the union of Kingdom Hearts and Final Fantasy has yet to be showcased at all in any of the Kingdom Hearts 3 trailers, there are a lot of Final Fantasy games with a Kingdom Hearts feel to them. 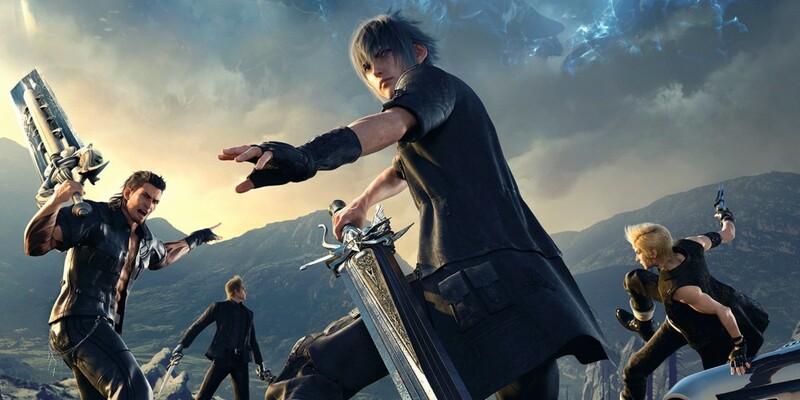 This isn’t any coincidence, as Kingdom Hearts series director Tetsuya Nomura had his hands in all of the Final Fantasy games we’re featuring. Starting with the best of the bunch, Final Fantasy XV is proof that the long wait for Kingdom Hearts 3 will pay off in dividends. The development for XV went for nearly as long as Kingdom Hearts 3’s, and was often the reason that Nomura was too preoccupied to further the third Kingdom Hearts. Noctis’ story is compelling, and the art design/gameplay is the most Kingdom Hearts-y out of these three Final Fantasy titles. Final Fantasy XIII (and its subsequent two sequels) and Final Fantasy X (and its sequel) typically divide Final Fantasy fans. X is campy, bloated, and at times, horribly voice acted, but also features an interesting leveling up system and neat character designs. XIII also drags out its story a bit, but the animation and CGI cutscenes sure are pretty. There are so many movie franchises that connect to the Kingdom Hearts series that watching them all is quite the feat. We’d suggest simply catching the movies that are confirmed to be featured in Kingdom Hearts 3, but watching the complete list from all of the games is also possible in the remaining six months. Starting with the shortest series in Kingdom Hearts 3, we’d suggest watching the 2014 Walt Disney Animation Studios title Big Hero 6. While the movie is based off a comics series, and now has a running television show on Disney Channel, watching only the movie would suffice. Tangled is another accessible series, as it’s not likely that the story in this world will go into the sequel shorts or television show. 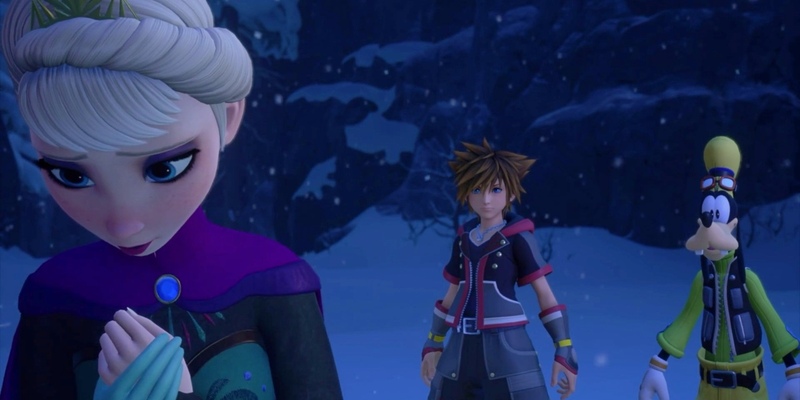 Frozen has also had a few sequel shorts, but the recent gameplay trailers seem to be showing off the events in the original theatrical release. Monster’s, Inc. has had two theatrical releases, but once again, it appears as if the world is only going to show Boo’s time with Mike and Sully. Hercules is returning again, so it’s a bit of a toss-up which story Nomura decided to portray this time around, as it may be all new original content. The two complicated worlds are the Toy Story and Pirates of the Caribbean ones. Toy Story’s Toy Box world will play out an original story that takes place between Toy Story 2 and 3, and Pirates will feature the third movie in the series, At World’s End. 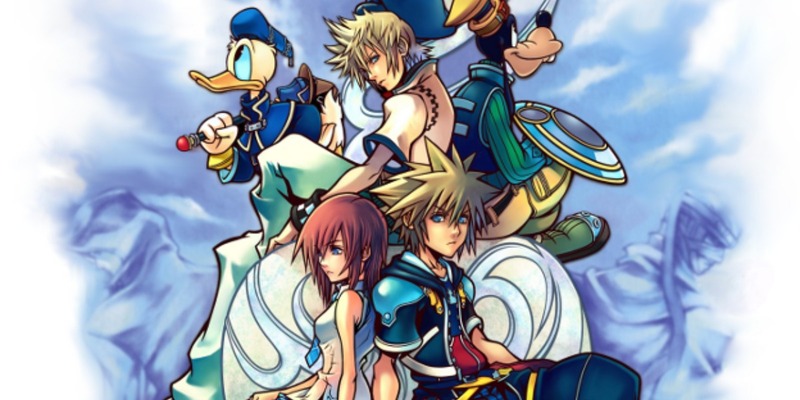 The Kingdom Hearts series is one ripe for speedrunning. For those unfamiliar with the term, speedrunning refers to when players run through games in record times, sometimes using glitches. With the PS4 collection, the load times for all of the Kingdom Hearts games were drastically reduced, giving speedrunners the ability to achieve even better times. There are exploits and tactics used in all of the series’ speedruns that still surprise this Kingdom Hearts superfan, promising an entertaining time for fans’ viewing pleasure. For starters, we’d suggest watching the Awesome Games Done Quick (AGDQ) streams for Kingdom Hearts 1 and 2 (below). Let the experience of speedrunning inspire you as you cheer on the best of the best while they race against the clock to defeat the darkness.